A friend of mine who didn't fancy spending £100k (like me he squanders his money racing cars and flying old aircraft) recently commissioned this "maximum spec'" handmade recreation of a vintage Marina Militaire 6152/1. The basis for the build is a DSN case but hundreds of hours must have been spent making various parts by hand from scratch, reworking parts and adding that beautiful patina to every piece - there was no set budget, making this project a dream for the artisan crafting it. 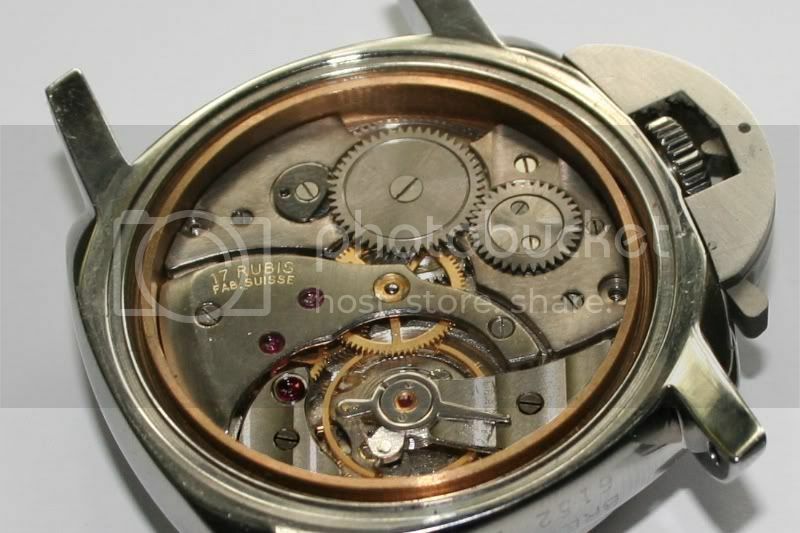 The movement is a Molnija 3601, fully reworked, nickel plated, aged and made sterile. 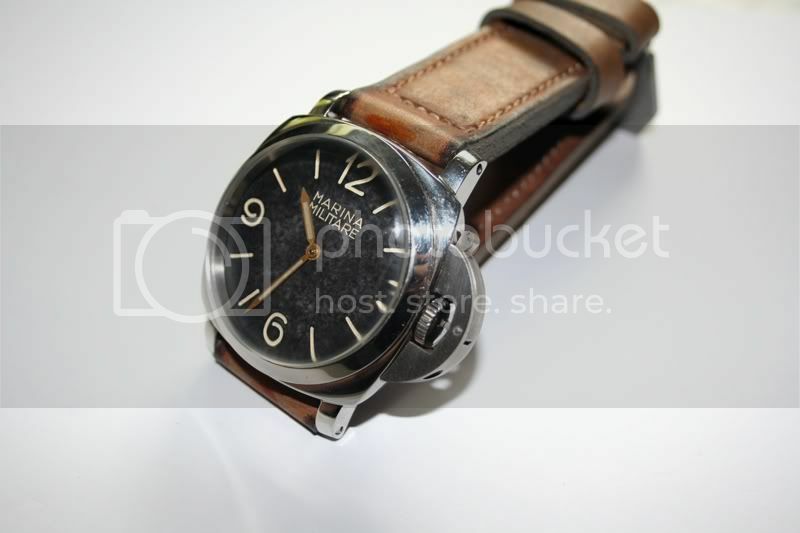 It has been engraved like the one on p.148 of the vintage Panerai bible by Ehlers & Wiegmann. 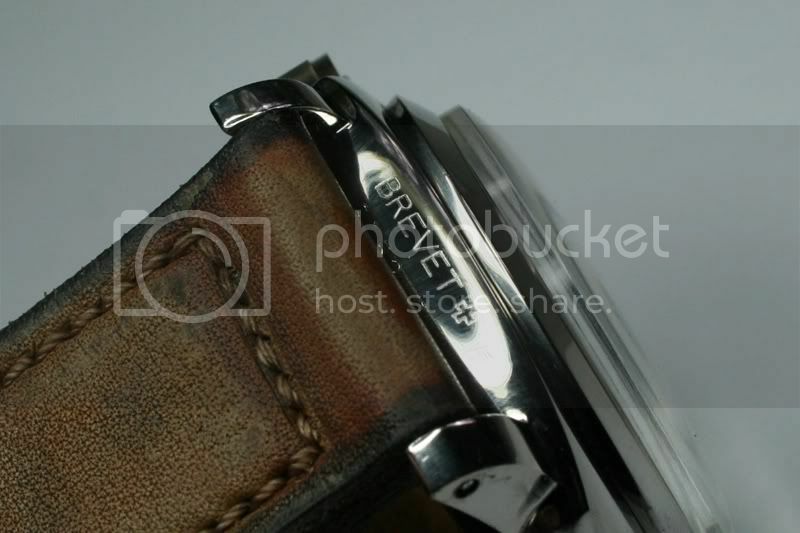 A one-off engraver's template was made for the bridge - all cyrillic engravings were removed from the movement. He chose this particular style of engraved movement as it is sterile but equally, the same as ones used in period in 6152s. Why the Molnija? 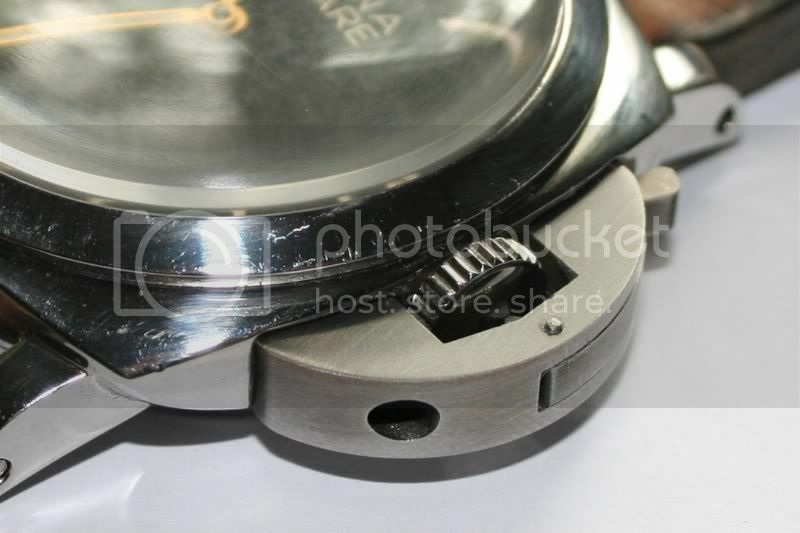 The original Rolex/Cortebert tooling was bought by Molnija so it looks virtually identical. Hand made brass case ring for the movement. 6 stage case reworking (i.e. reshaping etc) and aging. Drill out case and add authentic lug bars. Serial numbers removed between the lugs both sides, then engrave serial numbers and Brevet between both lugs in correct script. 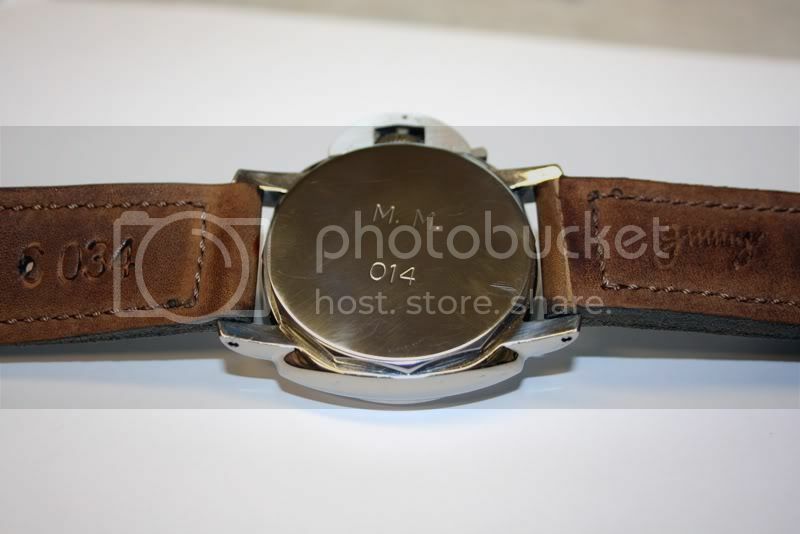 Engrave "MM 14" on handmade case back. Make sandwich Dial with deep engraving and text colour overlay with dial aging, fading and aged cracked indices. Hands aged and “dead” lume. 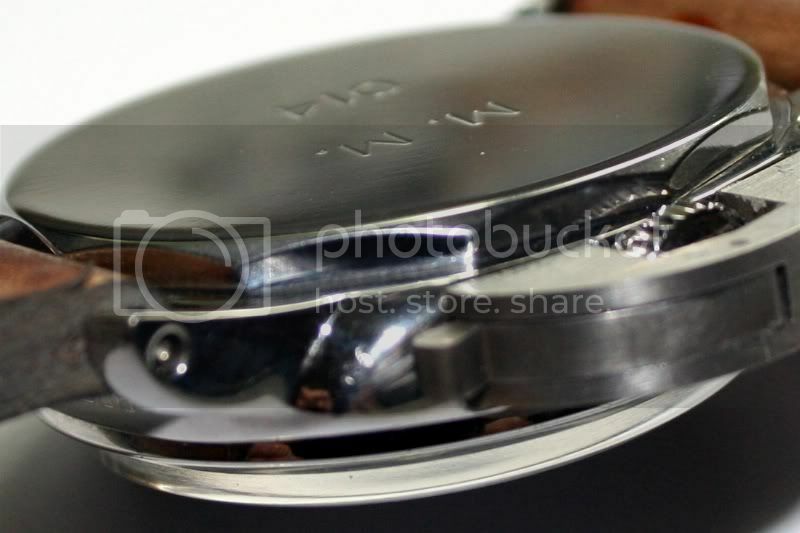 Handmade solid caseback (mirror finished). 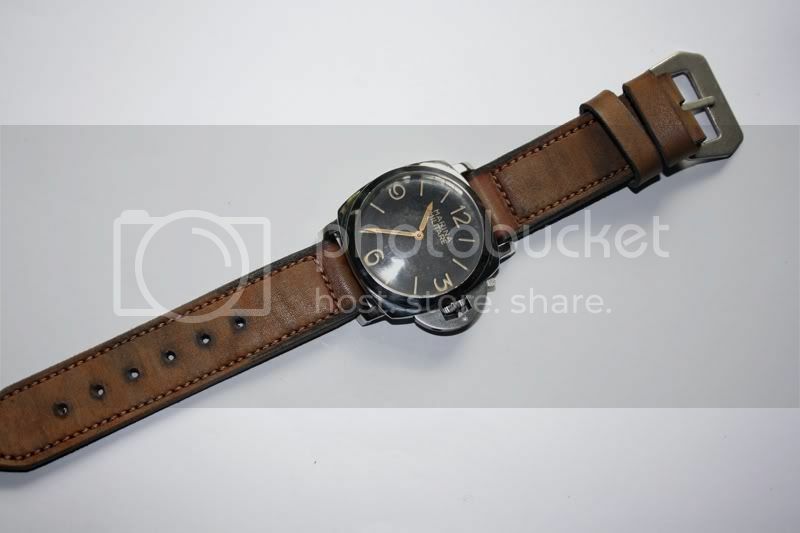 Peter Gunny Mission Impossible II strap (reckoned to be the most authentic vintage strap). 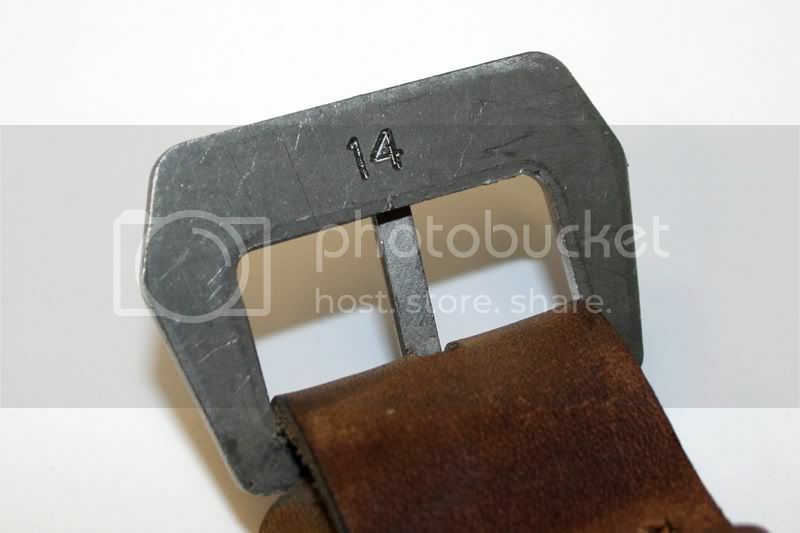 Engrave "14" on back of the buckle. There's probably more but that's all he could remember - basically everything that could possibly be done was carried out to make it look as authentic as possible but at the same time, keeping it sterile. It wasn't cheap but then time costs money. All the same, it was certainly a lot less than £100k and he can wear it wherever and whenever he wants - which he will - without a worry (and that's a lot of Ws all in one sentence!). Last edited by StampeSV4; 22-10-2010 at 21:21. Crumbs. Fantastic work. Looks like a lot of work went in to that. Really like what your mate had done to the movement. The only bit I don't get is the crown guard. Why go to all the effort of making it sterile and then use a "Trademarked" element like that? Guess he's funny that way...but it wouldn't be a 6152/1 without the CG though, would it? Does that buckle actually fit under a shirt cuff?!? Fair enough! It's *his* watch, after all. And a very special one at that. 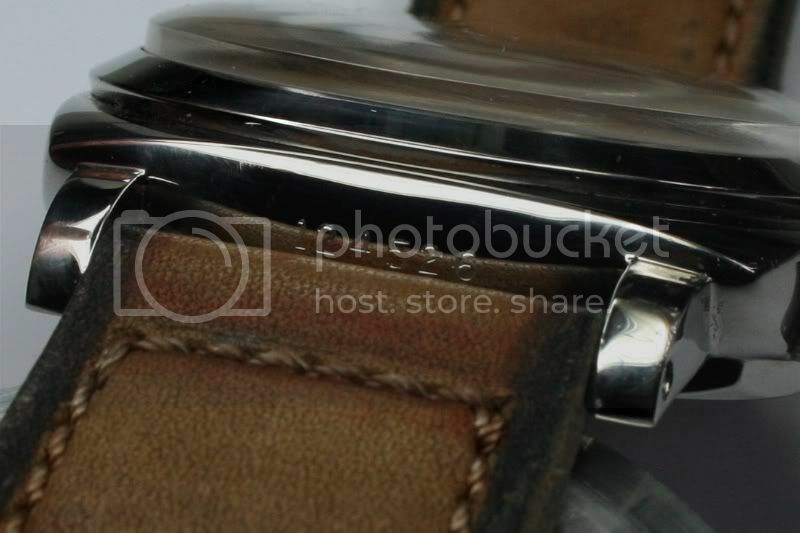 Re the watch itself - The spacer looks very well made too - can't imagine that there are many places to by a brass(?) spacer like that. Any chance of a close up of the hands - if you get to see it again? They look as though there's some serious work gone into them too - and the dial please?